Cybercrime starts and ends with stolen information. As reported by ITProPortal, the cybercrime economy could be bigger than Google, Facebook and Apple combined. The market has grown up into a great market that is probably more lucrative than the drug trade. Thieves use modern and state-of-the-art software to steal important information from small and big businesses and then either use it themselves or, most frequent, sell it off to some other thieves through the Dark Web. 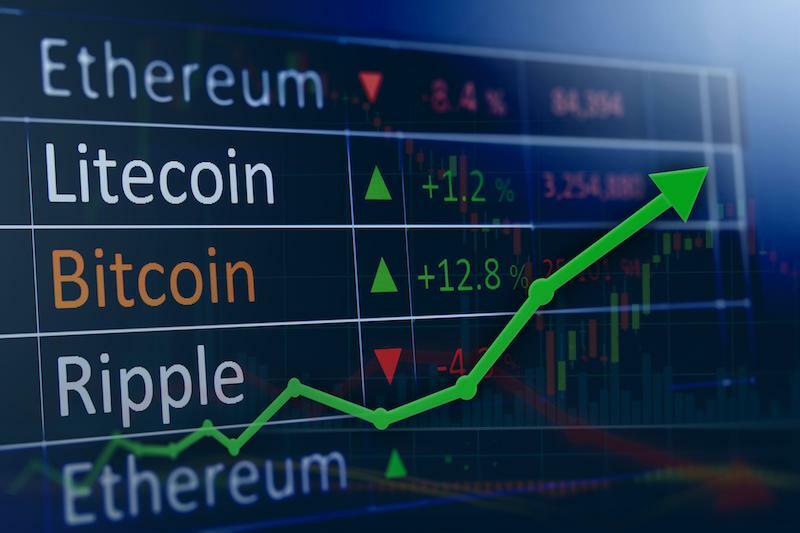 It doesn’t matter if you think cryptocurrencies are a bubble or not; one important thing everyone can certainly agree on is that an investment craze attracts greedy people looking to take advantage of trader greed. Counterfeiters are contacting victims and taking advantage of social networking platforms to promote ‘get rich quick’ opportunities in trading and mining in cryptocurrencies. Scammers convince people to join up cryptocurrency investment sites and to part with their private information such as driving licenses and credit card details to open any trading account. The victim then makes an initial deposit; then the fraudster calls them to steer them to make investments again to achieve a greater profit. In most cases, victims realize they have been defrauded, but only when the site has been deactivated,and the suspects can’t be contacted. The fact is that even the best defensive software programs have holes in their security. Symantec in 2018 estimated that 50 % of all attacks are discovered by conventional anti-virus which means that 52 % of attacks go undetected. It makes sense that defensive protection programs and anti-virus software cannot keep up. The culprits could possibly be inside the business’s walls. According to the National Cyber Security Alliance, mid-sized and small companies can certainly suffer from a data infringement. 60 % go out of business within a month of a data breach. What Can A Business Do to Protect Itself from A Data Breach? For several years I’ve recommended the execution of “Best Practices” to protect personal identifying details within the organization. There are simple methods every business should put into action to meet the requirements of industry, state,and federal rules and regulations. I am sorry to say very few small and mid-sized companies meet most of these standards. The next step can be something new that the majority of companies and their techs have not heard of or applied to their protection plans. It requires keeping track of the Dark Web. The good news is, there are agencies that constantly keep an eye on the Dark Web for stolen data 24-7, all year round. Bad guys publicly share these details through blogs, chat rooms, sites, advertising boards, Peer-to-Peer sites,and various other illegal hacking community websites. These details can stay on the Dark Web for months, months or, sometimes, years before it is used. The agency that tracks stolen data can easily find when the stolen data shows up. The next thing is to consider proactive measures to completely clean up the stolen data and prevent, what could become, an information breach or business identity theft. The data, in essence, becomes worthless for the cybercriminal. What Happens When Most Mid-Sized and Small Companies Take This Dark Web Monitoring Seriously? The particular effect on the criminal side of the Dark Web could be devastating when the majority of organizations implement this plan and make use of the information. The aim is always to make stolen data worthless as fast as possible. There will not be much effect on cybercrime until most of smaller than average and mid-sized organizations implement this sort of offensive action. Cybercriminals are usually relying on a couple of businesses take proactive measures, but if by a few miracle organizations get up and take a step we could possibly see a major impact on cybercrime. Clearing up stolen information and Internet protocol addresses is not difficult or challenging once you realize that the important information has been stolen. It is the companies that have no idea their information has been jeopardized which will take the biggest attack.